Amid brewing speculation over a 2020 primary challenge to President Trump, Ohio Governor John Kasich says he has "no plans to do anything like that." Asked by Jake Tapper on CNN's "State of the Union" on Sunday if the Republican party needs to step in to challenge President Trump in three years, Kasich, who ran for president in 2016, said instead that he's "rooting for him to get it together." "We're only like seven months into this presidency," he added. After a week which saw both the condemnation of the president's statements on the racially motivated violence in Virginia and the ouster of his chief strategist, the Republican governor would like to see things calm down at the White House. "I hope we're going to have stability, the president is going to learn from these episodes, and we're going to do better. That's what I hope is going to happen. We'll have to wait and see." Kasich's name has frequently popped up over the past several months as a possible contender for a 2020 bid. 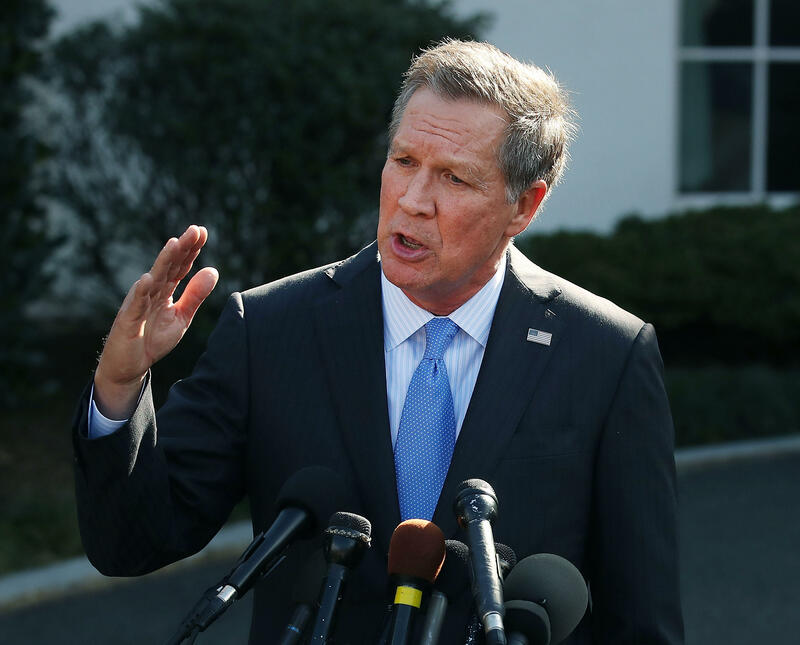 At a May event in Washington hosted by the Christian Science Monitor, Kasich said another stab at a presidential run was "unlikely" but conceded, "I don't know what the future is going to bring me, or what responsibility or obligation I might feel." "You don't ever say no to anything in life," he added. A recent New York Times report also suggested Kasich was one of several Republicans running a "shadow campaign," along with Nebraska Senator Ben Sasse, Sen. Tom Cotton of Arkansas and Vice President Mike Pence. Pence has since slammed those reports as "categorically false." Kasich said the party now needs to focus on building a stronger America and to start thinking about the country's communities and neighborhoods, instead of "just the president."